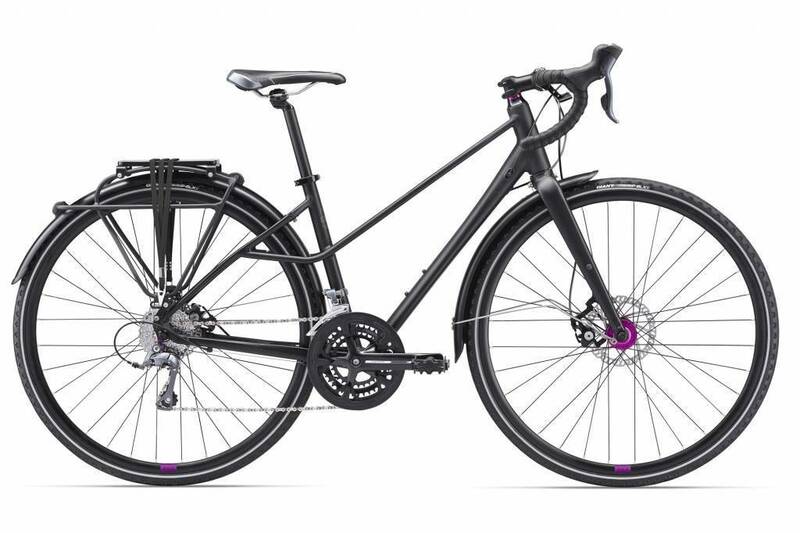 THE WORLD’S FRIENDLIEST BIKE FOR ROADS AND GRAVEL PATHS. EXPERIENCE COMFORT, SAFETY AND VERSATILITY. Start believing in you with a confidence-inspiring ride that allows you to take your next adventure on road, gravel paths or mellow singletrack. The step-through frame is designed specifically for the female rider, for ease getting on and off the bike. Have no fear when you need to slow or stop abruptly – powerful disc brakes with secondary brake levers keep you in control. Integrated dropouts allow you to install a rack for bike bags and panniers, or add a kickstand to transform the bike into capable commuter or weekend adventurer.